Mitchell Time and Parking serves Austin, Texas with on-street metered parking. Mitchell Time and Parking serves Austin, TX and the surrounding areas with on-street metered parking. Our team helps you bridge the gap between on and off-street parking solutions with our dynamic space meters. 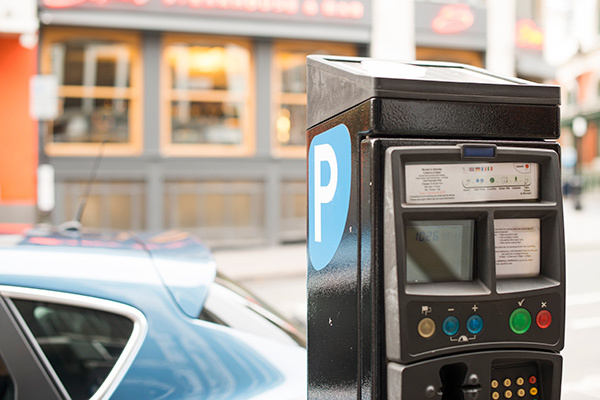 We offer Parkeon products, which allow you to manage your on-street parking meters, gain information on user behavior and consolidate receipts in your Parkfolio. They also boast a full-color display for easy customer interaction. The Parkeon Pay by Plate is an easy-to-use license plate entry system and supports all payment methods. Parkeon Strada BNA PAL can withstand inclement weather and has a 7’ color screen for easy use. Our Parkeon Strada Rapide has a customizable height, a color screen and accepts cash, credit and reloadable and disposable smart cards. Use the links below to download brochures about on-street parking equipment. time and attendance solutions today.